There's no gym on-site, but discounted rates are available at nearby L’Usine health club. 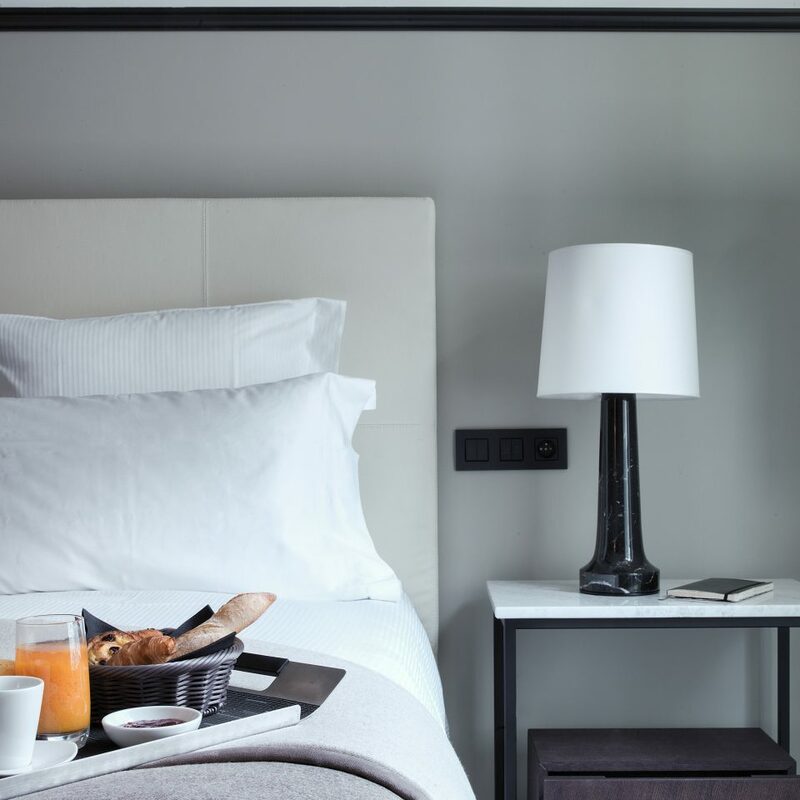 This sleek hipster hideaway just off Boulevard Haussmann is the brainchild of hot young Parisian design duo Gilles and Boissier (both Christian Liaigre alumni). 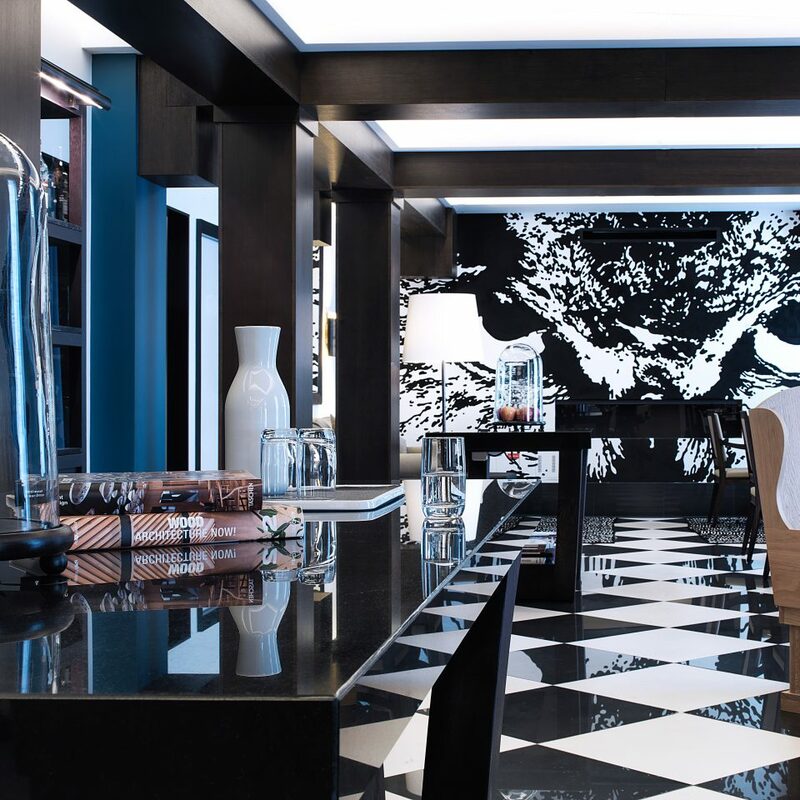 While the floors subtly change color, from Bordeaux red to mustard to turquoise, the lobby is dominated by a huge, brooding monotone owl fresco by street artist Victor Ash. 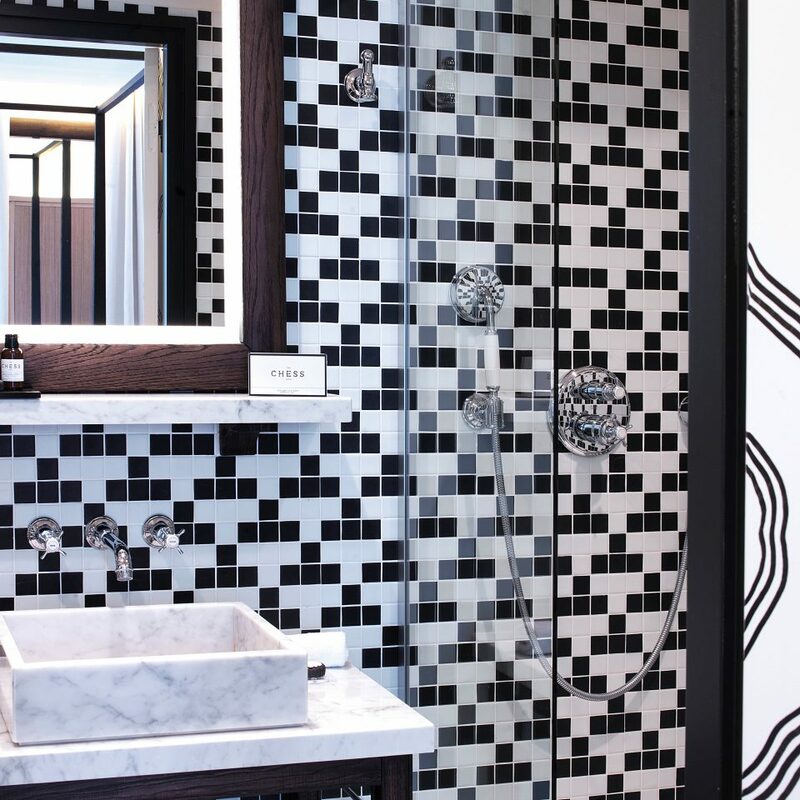 Graphic black-and-white mosaics in many of the bathrooms and bold checkerboard flooring in the lobby playfully echo the chess theme. 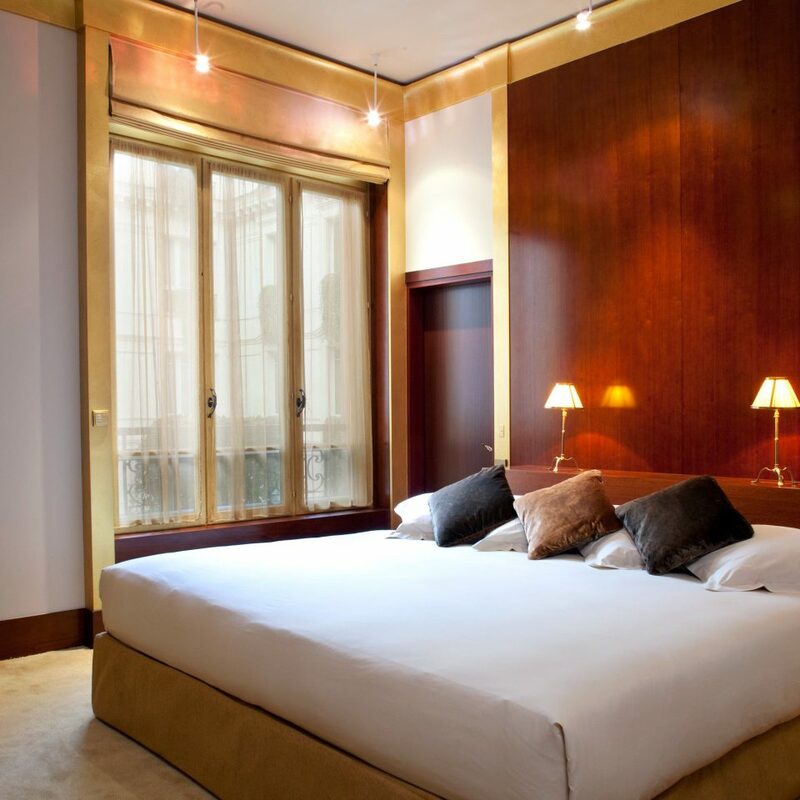 The 50 guestrooms are spacious for a central Paris hotel; they look out onto a quiet street or the interior courtyard. The decor is totally Zen, with pastel walls that contrast with handmade wooden furniture and floorboards. 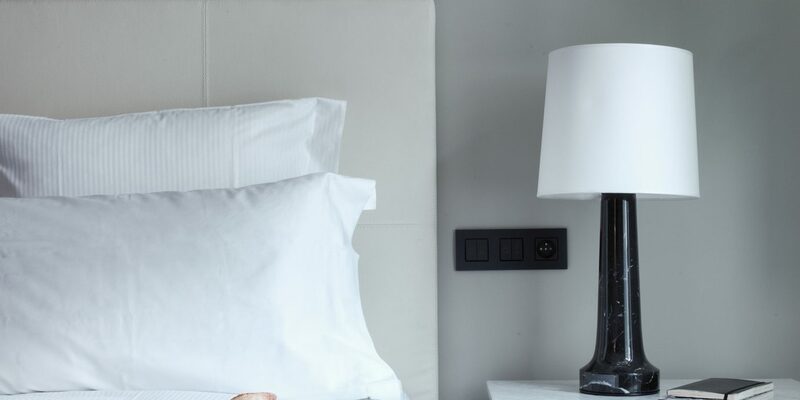 The Deluxe Rooms feature postmodern four-poster beds, bathrooms with large showers or a tub, and a Nespresso machine instead of a classic tea/coffeemaker. 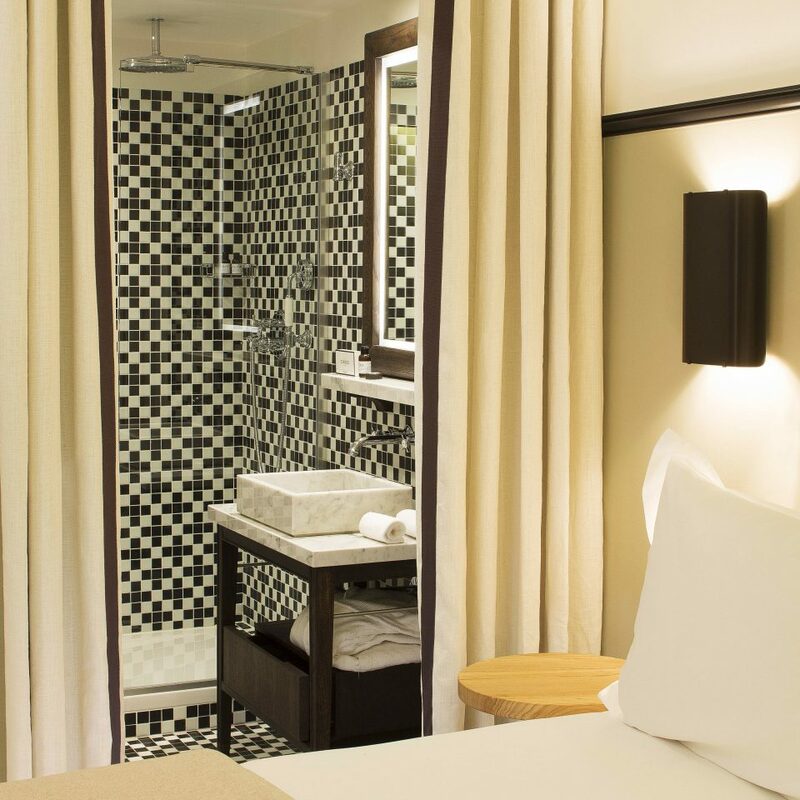 Both Superior and Deluxe Rooms offer 42-inch flat-screen TVs, marble or black and white tiled bathrooms, fluffy bathrobes and the hotel’s own range of toiletries enriched with fragrant argan oil. 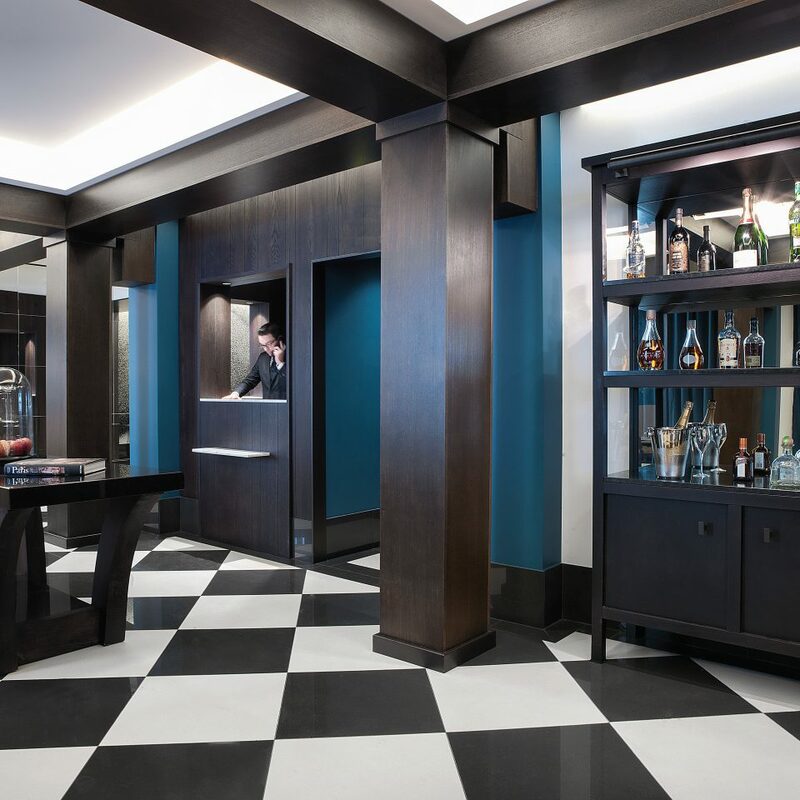 The first-floor lobby is the hotel’s life and soul. Friendly, helpful receptionists busily plan shopping trips and snag concert tickets, and the designer sofas provide a comfy spot to relax over a game of chess or backgammon. 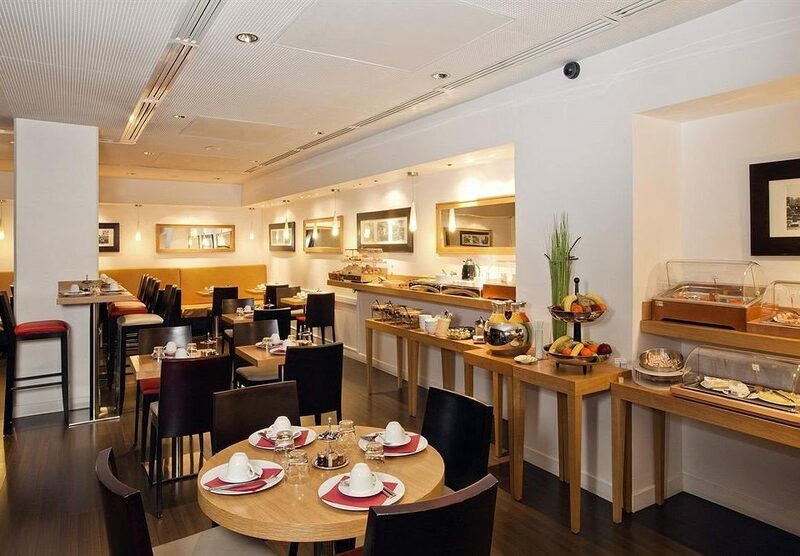 An abundant breakfast buffet is served here along with afternoon tea between 3 and 6 p.m. In the early evening the lobby is transformed into a bar for cocktails, wine and digestifs. 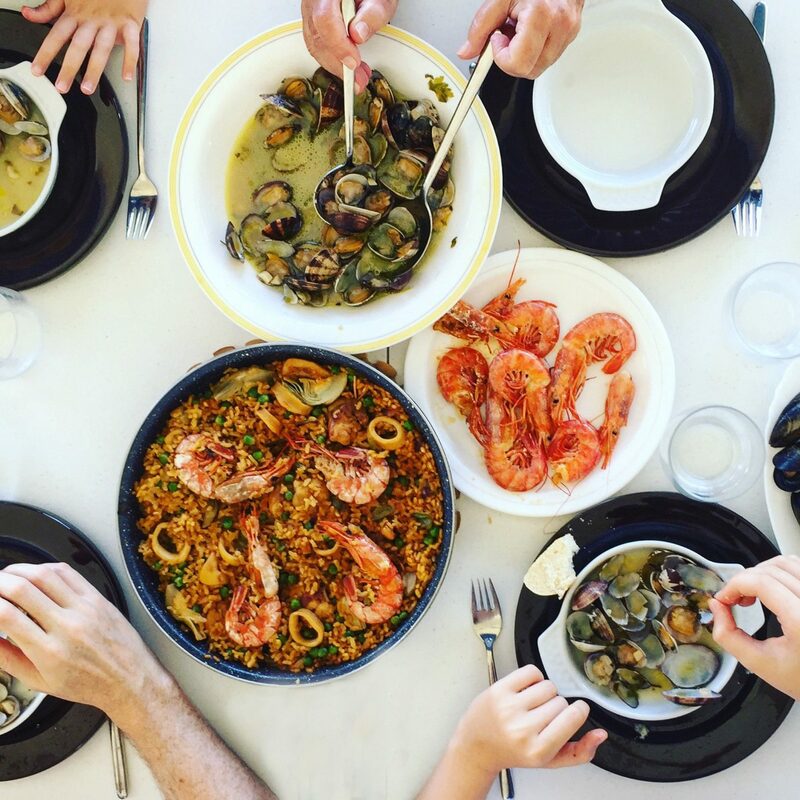 Although there is no actual restaurant, guests can choose from a tempting menu of Spanish and Portuguese tapas — sardines, Iberico ham, baby artichokes, even a risotto — prepared by the fashionable da rosa delicatessen, served either in the lobby or in your room. 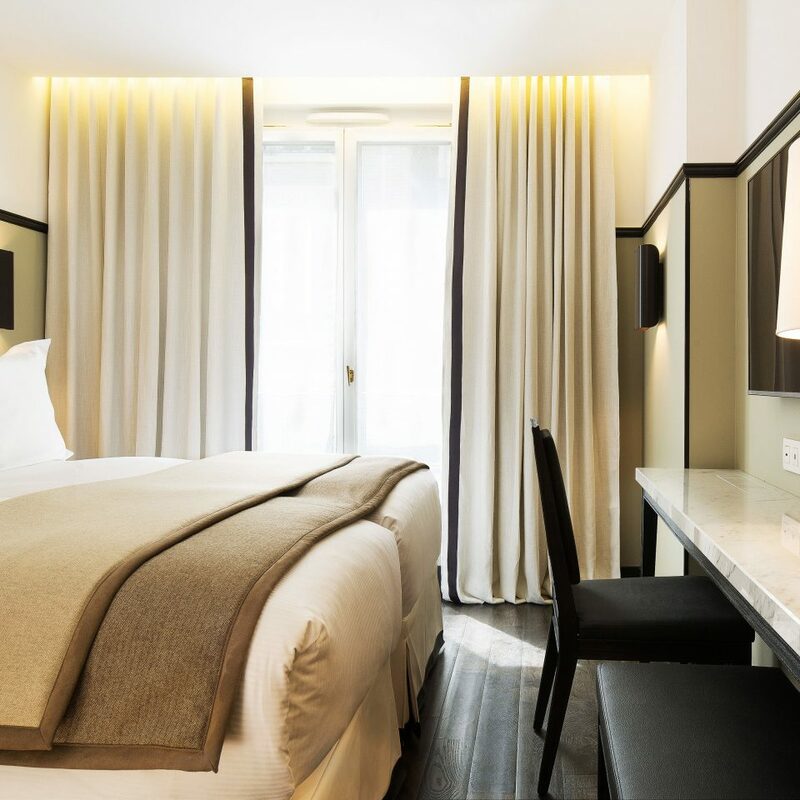 Step out of the hotel and you’ll find some of the city’s best shops on the doorstep, including Printemps, Galeries Lafayette and the Grands Magasins of Paris that rival Harrods and Bloomingdale’s. The world’s most famous jewelers line the exclusive Place Vendôme. 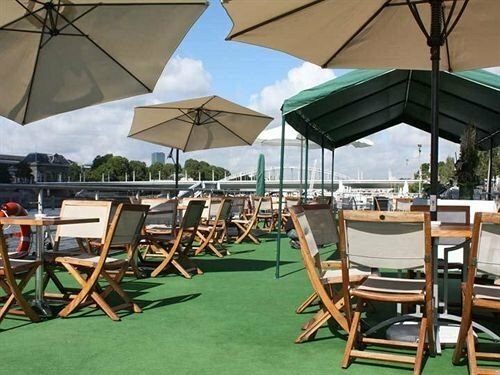 The historic Café de la Paix offers the perfect sunny terrace for a plate of oysters and a glass of champagne, while the legendary Harry’s Bar serves a great Bloody Mary. In the evening head to the glittering Opera Garnier for a ballet or classical music performance, or catch a gig at the funky L’Olympia. 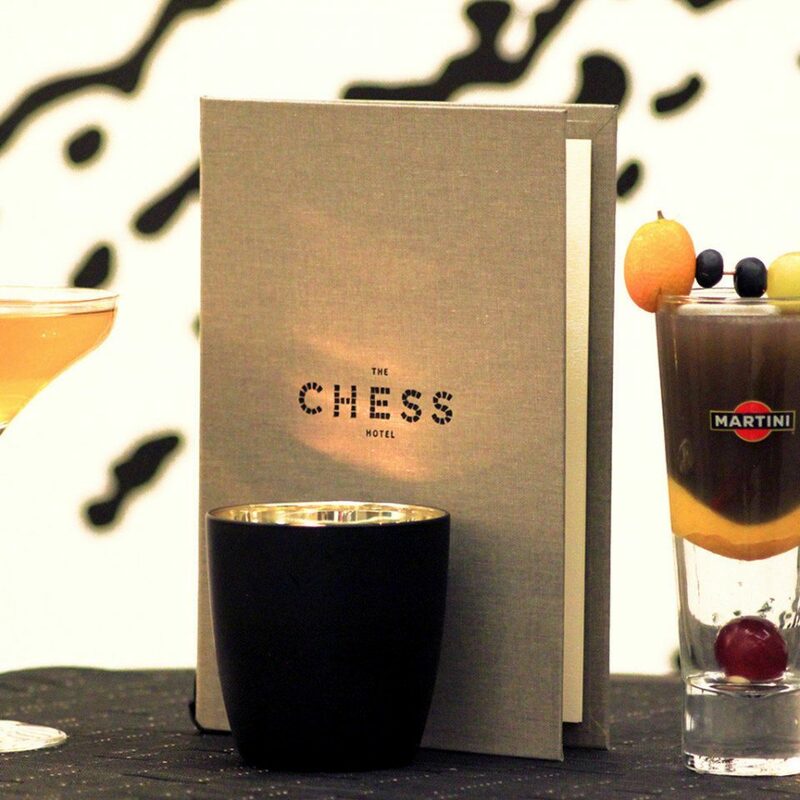 I stayed at the Chess hotel with a friend and we liked the fact that it is so well located and easily reachable from all sides of the city. It’s a small hotel so we could easily feel cosy and at home. The service was great and staff very welcoming and at out service. Also, breakfast served until 11 in the weekends was very rich and diverse. I would recommend it to everyone coming to Paris and wanting a special experience and a great holiday! I stayed in this hotel for one night. 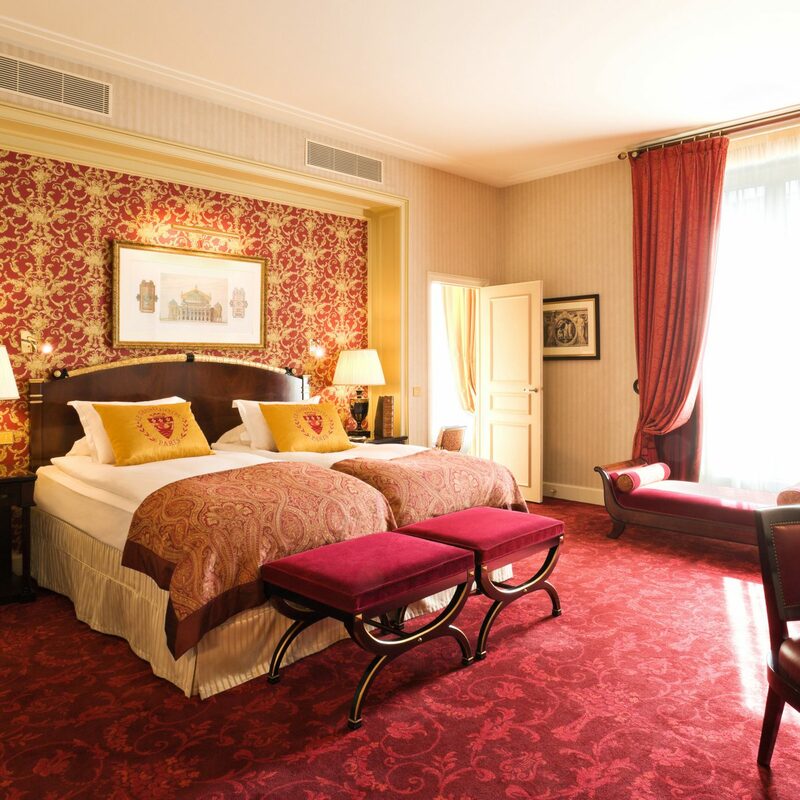 The location is perfect, it is close to the Opera and many shops and restaurants. the rooms are small, I could not open my suitcase. This is expected in Paris though. The hotel is new (2014) and you can tell right away. Hard wood floors, very clean and nice bathroom and nice curtains. the reception staff was very nice but the one who stood out the most was Manal. Her smile was amazing, and her willing to help is great. She was talking about the hotel with passion and she was very helpful giving us directions and proposing different transport options to the airport. 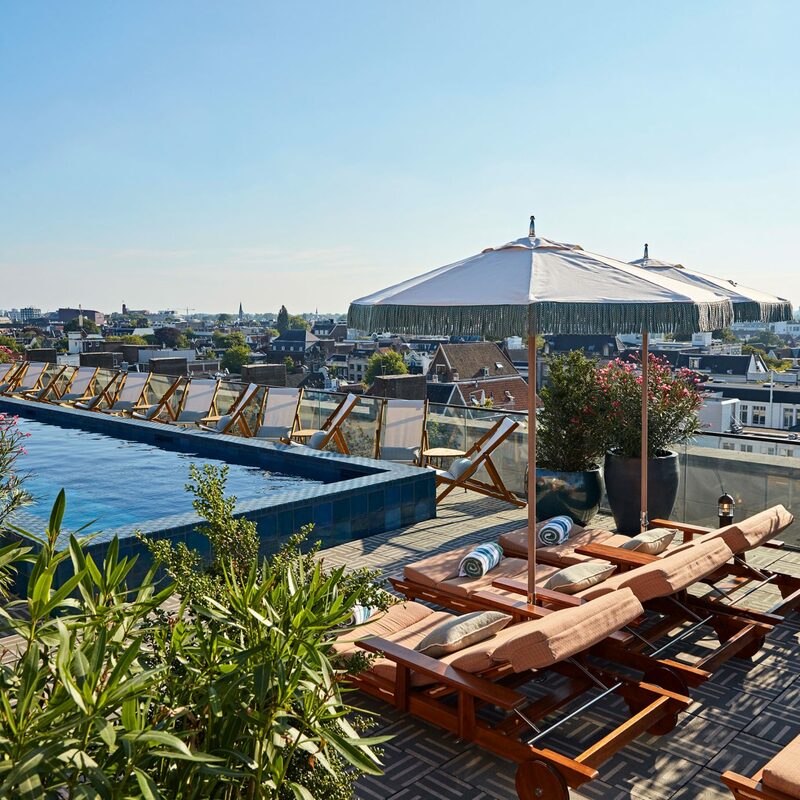 will consider this hotel for future trips to Paris. Charming, discreet entry. Very pleasant and helpful reception. 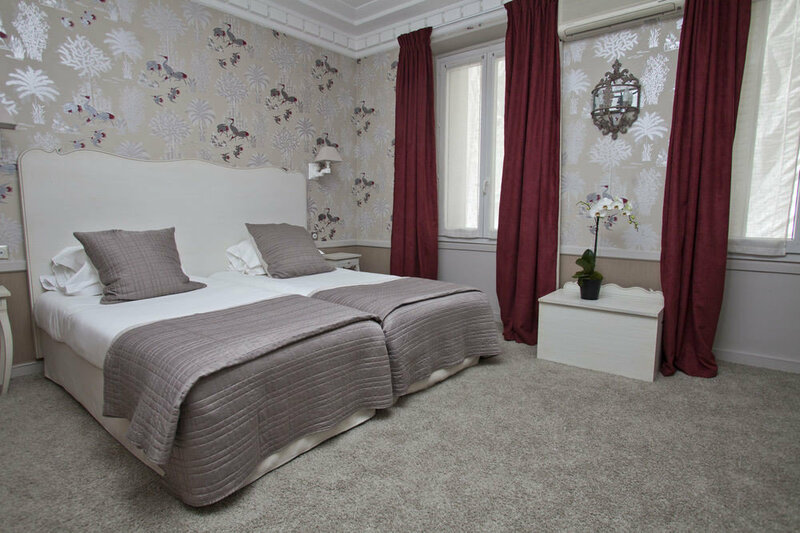 Extremely clean and well appointed rooms, (stayed in two different rooms at our request). Staff were very helpfull with problem unrelated to the hotel. Overall I liked the hotel but not enough to book a room there again. The room was a bit small but was comfortable. The hotel is in a good area and is only a 10 min. drive to many Paris landmarks. My room was ready at least 3 hours prior to the listed check-in time which was so convenient. But the elevator to get up to reception from the ground level was excruciatingly slow, and continued to be slow (but not AS bad) throughout my stay. I had a housekeeping manager walk in on me in the room after knocking and not waiting for a response. When I brought this up to the concierge at the front desk, he was very apologetic which I appreciated and he did speak with the person who made the mistake. Overall I liked the hotel but probably wouldn't stay there again due to this experience. 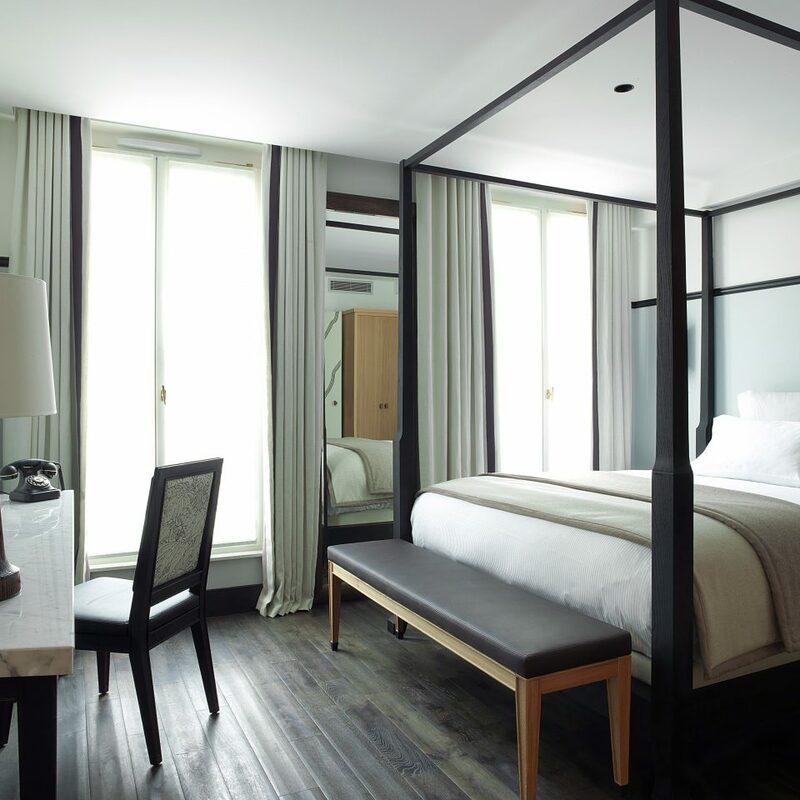 Excellent small boutique style hotel. Great location and a very friendly and warm welcome from the hotel team. Whilst there are not too many facilities in the hotel it is so central to everything that this doesn't matter. The hotel was very clean throughout and I would happily recommend. Special mention to Allan on reception who was the perfect host, thank you.